Yet another member of the Bundy militia is in trouble with the law again. The Salt Lake Tribune reports that 57-year-old William Keebler was arrested this week and charged with attempting to detonate a bomb at a Bureau of Land Management facility in Arizona. Keebler, who took part in the 2014 standoff with federal land administrators near Cliven Bundy’s ranch, told undercover FBI agents that he planned to target a BLM building in Mount Trumbull, Ariz. The FBI agents, in turn, created a non-working explosive device for Keebler to use at the facility, which Keebler first started scouting as a target in October 2015. Keebler planted the device at the BLM building on Tuesday and tried to detonate it, without luck. He was arrested the next day. If convicted, Keebler could face between five to 20 years in federal prison. 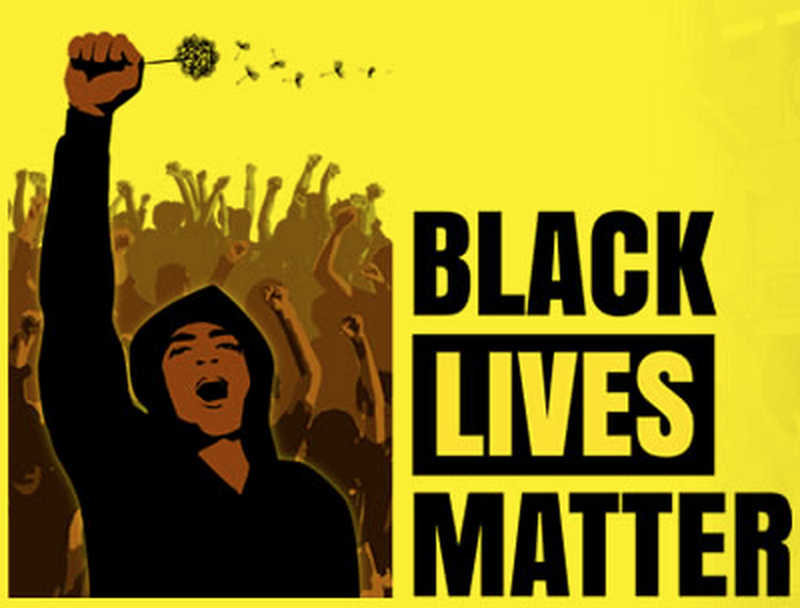 And if Armed Black Folks Occupied a Building? SO…Now we have armed white guys, who are part of a Militia “occupying” a Federal Building in Eastern Oregon. You think they are going to drop a bomb to get them out? The motivating factor here is greed, not race. The group, many of the same people who came out to support Cliven Bundy last year who owed more than $1 million in lease fees for grazing his cattle on our Federal Land want to farm or graze Federal Land for free. In other words they want to be able to use the land, while the rest of us who pay the upkeep, pay for the Fire Department to go out to put out fires they have started, an they hunt illegally – all in the cause of their “freedom”. The Malheur is a nesting and migratory area for hundreds of bird species, including these whooping cranes. A group of gunmen seized control of an empty federal building in remote Burns, Oregon, on Saturday, announced they planned to occupy the facility for “years” and called for “patriots” to join them — and bring more guns. The men now occupying the Malheur National Wildlife Refuge building include at least two sons of Cliven Bundy, the rancher whose legal battle with the government over grazing rights culminated in an armed standoff with federal authorities near Bunkerville, Nevada, in 2014. “We’re planning on staying here for several years,” Ammon Bundy said in a videoposted to Facebook Saturday. “We’re calling people to come out here and stand…. We have a place for you to stay warm. We have food planned and prepared. We need you to bring your arms. And we need you to come to the Malheur National Wildlife Refuge.” His brother Ryan Bundy told The Oregonian’s Ian Kullgren the militiamen are “willing to kill and be killed if necessary,” Kullgren tweeted Saturday. The Bundys and other militia members have gathered in Burns in recent weeks to protest the return to prison of Dwight Hammond Jr. and his son Steven, two local ranchers who were convicted in 2012 of arson, imprisoned, released and given new, harsher sentences last year. But there’s no evidence the Hammonds are involved in the occupation of the federal building, and they told The Oregonian through their attorneys on Sunday that they plan to return to prison on Monday as ordered. “Neither Ammon Bundy nor anyone within his group/organization speak for the Hammond Family,” W. Alan Schroeder, a lawyer for the family, wrote to Burns Sheriff David Ward, CBS News reported Sunday. Nor does the local community support the militia’s actions. “The majority of Burns does not want him here,” Sarah Spurlock, a Burns resident who interviewed Ammon Bundy on Saturday, told The Huffington Post via Facebook message. “There are a handful that do, but they are few compared to those that don’t.” At a community meeting Friday night, Burns residents told militia members who had traveled there to support the Hammonds they worried confrontation with the government could lead to violence. “We are not coming into your town to shoot it up,” Brandon Curtiss, an Idaho militia leader, promised, according to The Oregonian’s Les Zaitz. “We won’t fire anything unless we’re fired upon.” Curtiss told The Oregonian Sunday he “knew nothing” about the occupation of the federal facility. In recent statements, the Bundys have de-emphasized the Hammonds, instead focusing on their plan to restore eastern Oregon’s economy by forcing the federal government to hand over federal lands to local ranchers, miners and loggers. The federal lands that the Bundys and their compatriots argue should be “returned” to the local, overwhelmingly white population were once part of a reservationestablished by President Ulysses S. Grant for the Northern Paiute, an American Indian tribe. The Northern Paiute still live on a now much-smaller reservation north of Burns. This most recent incident is only the latest confrontation between the federal government and the militia movement, which gained popularity among conservative ideologues in the aftermath of the 1992 Ruby Ridge incident and the 1993 Waco siege, two of the most infamous and deadly standoffs involving federal agents in U.S. history. During the tense Ruby Ridge standoff in northern Idaho, three people died, including a deputy U.S. marshal, as authorities attempted to apprehend a white separatist for failing to appear in court for selling illegal sawed-off shotguns. In Waco, Texas, 76 people died during a 51-day siege after federal officials stormed a fortified religious compound led by David Koresh and his group of Branch Davidian Seventh Day Adventists in an attempt to apprehend Koresh for stockpiling weapons. Both incidents prompted congressional inquiries into use of force by federal officials. We don’t know much about who’s occupying the building. The Bundys initially claimed they had around 150 people there, but a reporter who managed to get close spotted about a dozen. Videos from the scene have depicted Ammon Bundy. Ryan Bundy has spoken to reporters about the occupation. Militia leader Blaine Cooper and Ryan Payne, an Iraq war vet, are both involved in the occupation, according to The Oregonian. Both men have said they were involved in the 2014 Bundy ranch standoff. Last year, the Missoula Independent published an extensive profile of Payne. 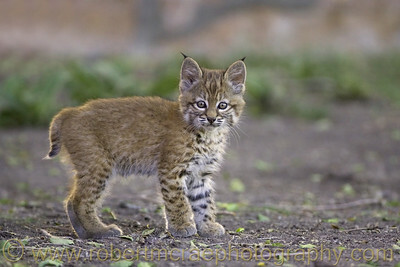 A Bobcat Kitten photographed at Malheur. How are local, state, and federal authorities responding? Hold you nose for this one! The Constitution Party, a small third party that has been around in one form or another since 1992, says its goal is “to limit the federal government to its delegated, enumerated, Constitutional functions.” As a practical matter, that has meant that it opposes abortion and most immigration, seeks to drastically reduce government spending and end the income tax, and works toward a noninterventionist foreign policy that requires dropping out of international organizations and treaties. What it has not done, despite serious flirtations with radical anti-abortionists and antigovernment militias, is get into open racism. Not until now, anyway. Virtually unnoticed, Gemma, who lives in Florida, has recently joined the governing national executive committee of the Constitution Party as its eighth living member (party founder Howard Phillips, who died earlier this year, is also listed). Although Gemma is described by the party website as “a veteran political and fundraising consultant” who was a staffer on three presidential campaigns, he is in fact a white nationalist with deep ties to a whole array of racist hate groups. For years, he was the head of design, marketing and advertising for the racist tabloid of the Council of Conservative Citizens (CCC) — a group that has complained that non-white immigration was turning the U.S. population into a “slimy brown mass of glop” and described black people as a “retrograde species of humanity.” He also was the media coordinator for the CCC’s Capital Region for several years. He is part of the American Holocaust denial movement, reviewing a book by British denier David Irvingfor the racist Occidental Quarterly journal, organizing a 2005 speaking event for Irving, and giving a speech at the denialist Institute for Historical Review, according to the Institute for Research on Education & Human Rights. In 2000, Gemma appeared with David Duke and Don Black, both former leaders of the Knights of the Ku Klux Klan, at an event meant to raise money for the fascist, whites-only British National Party, according to the same report. He has been media director at the National Policy Institute, a hate group that is staffed by leading racists and anti-Semites and whose founder worries that “the white race may go from master of the universe to an anthropological curiosity.” He still writes for The Social Contract, a racist anti-immigration journal. He has contributed to VDARE, a racist website named after Virginia Dare, said to be the first English child born in the New World. He is a member of Florida’s ResistNet Tea Party, where two veteran anti-Semitic activists — White Revolution founder Billy Roper and Internet radio host Clay Douglas — also found a home. Gemma has also appeared as a guest on James Edwards’ racist, Memphis-based radio program, “The Political Cesspool,” later reviewing Edwards’ book for a white nationalist blog called Middle American News. And he has been on the other side of many interviews, speaking to such heroes of the radical right as nativist Sheriff Paul Babeu of Pinal County, Ariz., and former congressman Virgil Goode, who was the Constitution Party’s nominee for president of the United States in 2012. Here is a link detailing the groups relationship with KKK level racists like David Duke and Tony Perkins and Gordon Baum of the Council of Conservative Citizens. The National Policy Institute was recently kicked out of Hungary for being a racist group. Come on down, Kamau Bakari…And get your Lawn Jockey of the Week Award!